and contribute to training the next generation of Australian researchers. 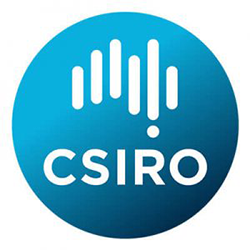 Under the Science and Industry Research Act 1949, CSIRO is granted powers to undertake a broad range of activities consistent with performing the above functions. These include arranging for scientific research to be undertaken on behalf of the organisation; forming partnerships, joint ventures and spin-off companies; and deriving income from intellectual property through licensing and royalty arrangements. CSIRO currently has approximately 350 staff involved in space activities, primarily focused on using space-based systems and data streams to perform research and deliver nationally significant outcomes, where space provides the most effective and efficient means for delivering this impact. Consistent with this strategy, CSIRO has developed extensive capability in space-related areas that include earth observation; navigation and communication; advanced aerospace technologies, spacecraft tracking and radioastronomy. Conduct scientific research to benefit Australian industry and the community, and to contribute to the achievement of national objectives; encourage and facilitate the application of the results of scientific research; manage and make available national facilities for scientific research; contribute to scientific collaboration between Australia and other countries; and contribute to training the next generation of Australian researchers.